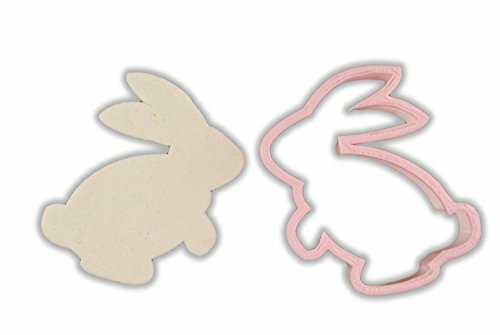 This Rabbit Animal Cookie Cutter turns your kitchen into a creative lab! Cut and decorate fun, clean shapes for your family and friends to enjoy! PERFECT SHAPES EVERY TIME: Bake the perfect cookie with ease, no-hassle clean cuts every time. Why settle for less? Works great with chilled cookie dough, fondant, and gumpaste. Fun shapes with a Rabbit Animal Cookie Cutter. Animal Cookie Cutter Set Designed by 17 cookie artists, Sweet Sugarbelle, Arty Mcgoo, Chapix Cookies, Blyss Cookies. Profits donated to Charity!